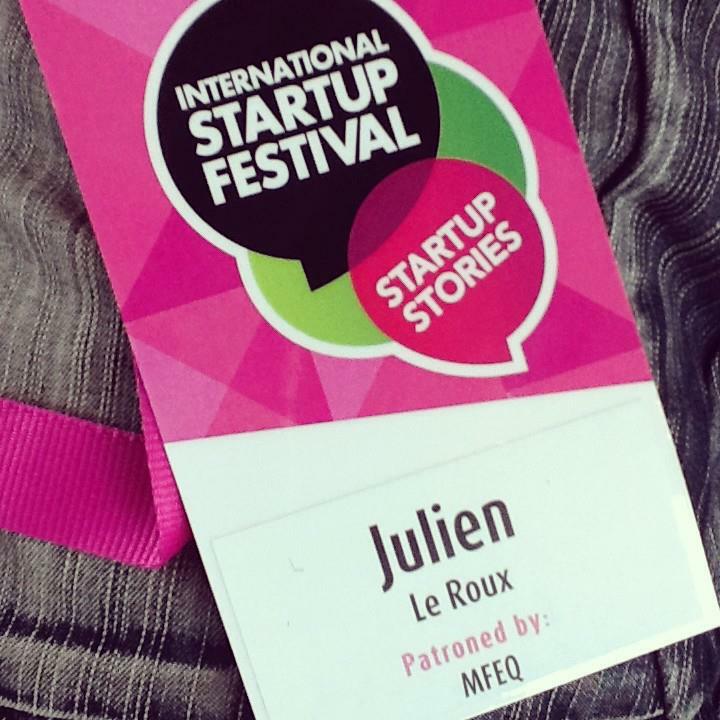 Last month, TagMyDoc had the chance to participate at the 2013 International Startup Festival at the Vieux-Port de Montréal. This event is certainly the most exciting Startup event in Quebec. More than 300 startups came from all around the world as well as speakers, mentors, judges and successful serial entrepreneurs. Dozens of startups pitched their ideas in front of the crowd while many large companies such as Google and Microsoft had a strong presence all around Vieux-Port de Montréal. For two days, you can walk from 9 to 5 around the site and talk to different startups, angel investors and VCs. It’s a great place to give and get advice, exchange ideas and meet new prospects. Furthermore, don’t forget that many workshops are held before and after the event. If you want to send someone from your startup at the festival next year, it’s worth the price but be sure to send someone who likes to do some networking, knows his elevator pitch and who is not stressed to pitch to VCs and angel investors (because there are a lot of them). Just to recap our weekend at the festival, more than 3 companies were interested in TagMyDoc's custom solutions and more than 5 companies were interested to develop some kind of partnership with us. Stay tuned for these new developments regarding TagMyDoc. All of this wouldn't have been possible for us without the help of the MFEQ (Ministry of Finance and Economy of the Governement of Quebec) and we’d like to thank them for their support. That's it for me! Please don't hesitate to comment below if you have any questions regarding the festival.